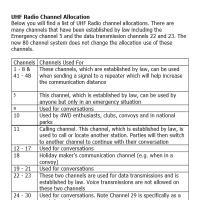 Download your free UHF Channel Allocation Chart as a PDF document for printing. There has been some confusion about channel usage since the introduction of an extra 40 UHF channels. 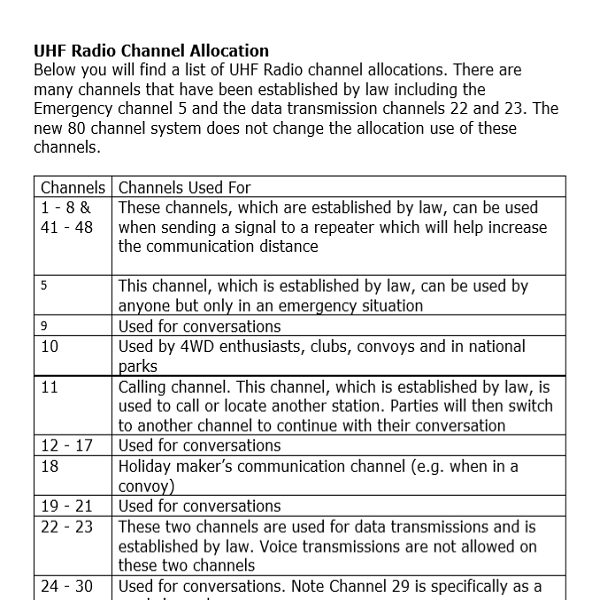 This chart is a list of UHF Radio Channel Allocation. There are many channels that have been established by law, including the Emergency Channel 5, and the data transmission Channels 22 and 23. The new 80 channel system does not change the allocation use of these channels. Nothing has changed from the 40 UHF channel allocation except the introduction of an extra 40 UHF channels. 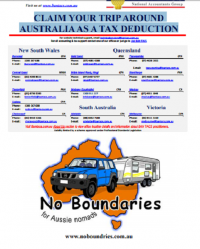 Organisations that “claim” channels are not outside the law, but their claim is not supported by law. These organisations are merely stating that a particular channel is what their members/staff use, so as not to clog other call and chat channels with their chatter. 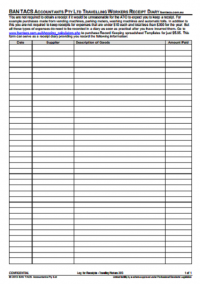 Download this chart free for your benefit.